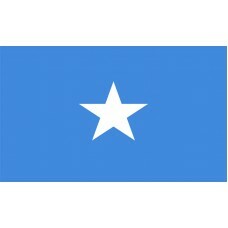 The Somalia Flag is a light blue field with a white 5-pointed star in the center of it. 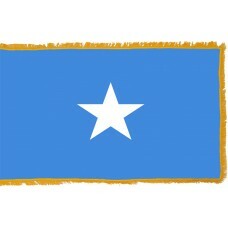 The light blue color is the same color that is used by the United Nations as well as representing the light blue sky over Somalia. The 5-pointed star represents the Somali race that resided in Djibouti, Ethiopia, Kenya, and the British and Italian colonies. The Somalia Flag was adopted on October 12th, 1954 and it was designed by Mohammed Awale Liban. Somalia is a country that is located in the horn of Africa and shares borders with Ethiopia, Djibouti, Indian Ocean, and Kenya. The capital and largest and most populated city of Somalia is called Mogadishu. Somalia is a nation that has been inhabited for over 2,000 years and European interest began in 1839 when the British began to use the port of Aden as a station for their ships. In 1854, the country was explored by the British adventurer, Sir Richard Burton and there was more interest in the country following the opening of the Suez Canal in 1869. 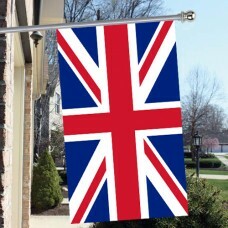 In 1887, the British declared the Northern Somalia coast as a protectorate, which was known as British Somaliland and the French claimed the Western Coast (now Djibouti) which was known as French Somaliland. In 1889, Italy took control of Southern Somalia and it was known as Italian Somaliland. In 1899, the Islamic teacher Muhammad Abdullah Hasan, who was also known as "Mad Mullah" hoped to gain the region of Ethiopia and to drive out the Europeans. His army fought the Europeans from 1900-1920, but were defeated. At the beginning of WWII, the Italians managed to capture Northern Somalia from the British until 1941, when the British managed to re-capture it back. In 1949, the United Nations awarded Italy with free administrative control over Southern Somalia. Somalia finally gained full independence on June 26th, 1960. Somalia is considered to be one of the poorest nations in the world and one of the least developed countries. From 1970-1991, the dictator, President Barre ruled the nation. When he was thrown out of the country, Somalia did not have a government for over 20 years because the rival groups and different clans could not agree. Due to this, the civil war began in 1991 as a power struggle between the clan lords, Mohamed Farah Aideed and Ali Mahdi Mohamed. 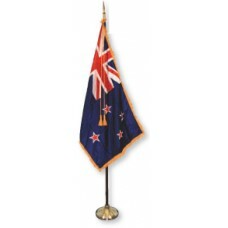 A government was finally established in 2012, however, the country is still in ruins as it was left lawless for so long. Prior to the civil war, Somalia did attract tourists, with the main attraction being the Shanghai Old City which was recognized for its Chinese architecture and is thought to be one of the most beautiful parts of the city. Also, the Laas Geel cave formations were another main attraction as they were home to some of the earliest cave paintings that date back to 3,000 BC. Since the civil war began, Somalia has had one tourist, which was in 2010.